The Case U.S. Navy Trapper pocket knife with smooth blue bone scale is sure to be a treasured part of any collection or service member's pocket. 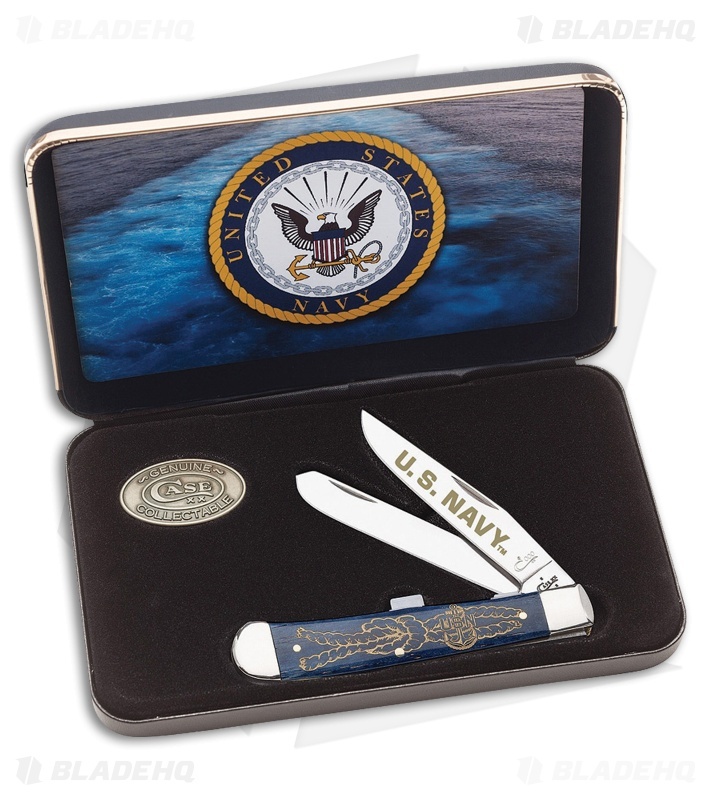 Tru-Sharp surgical stainless steel blades are able to take on even tougher cutting tasks and feature a "U.S.Navy" embellishment. Smooth blue bone scales are laser engraved with the U.S.N. Anch and rope. Polished nickel silver bolsters with pinned brass construction results in a reliable tool that will last a lifetime. Presented in a leatherette gift box with a full color inner-lid graphic and collectible Case medallion.